Back to School at New Albany - Plain Local schools for the 2012 – 2013 school year. Back to School? The 2011 – 2012 school year just ended. 2011 – 2012 school year last day of school in the New Alany - Plain Local School District was June 7, 2012. In May when I wrote a post about the last day of school, “Schools Out: Central Ohio Schools “ got a comment saying“My kids looking forward to the upcoming school year.” Really? The comment was spam. The comment was probably let by a bot. Not that there are not kids that look forward to next year, but even kids who love school are looking forward to a couple of months of swimming, playing, biking, camping. Don’t they? A couple of weeks into summer vacation they may be bored. Memorial Day weekend kids are looking forward to summer. 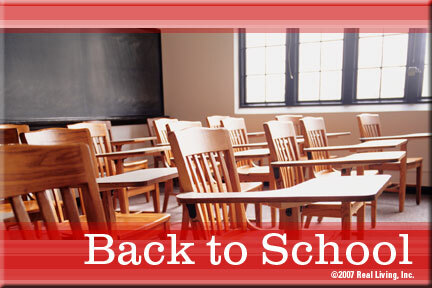 Day one for 2012 – 2013 school year in the New Albany Plain Local School District is August 20, 2012. The image is a Real Living ecard. I am a real estate agent with Real Living HER (formerly HER Realtors) in Columbus, Ohio. Next post: Things to do in Columbus… Politics? Ugh!